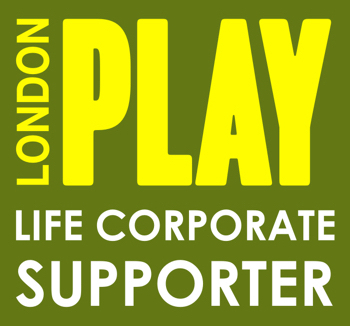 Our aspiration is to create distinctive, stimulating, imaginative and challenging playgrounds for children of all abilities. 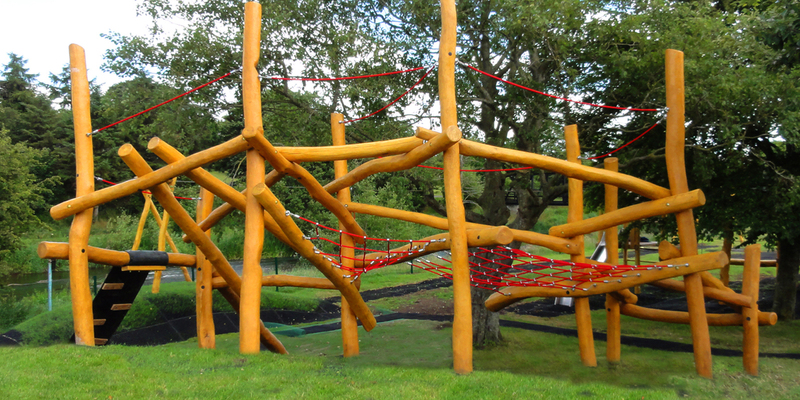 We believe playgrounds should reflect the needs of their users and we work together with our clients: councils, schools, community groups to achieve challenging play projects. 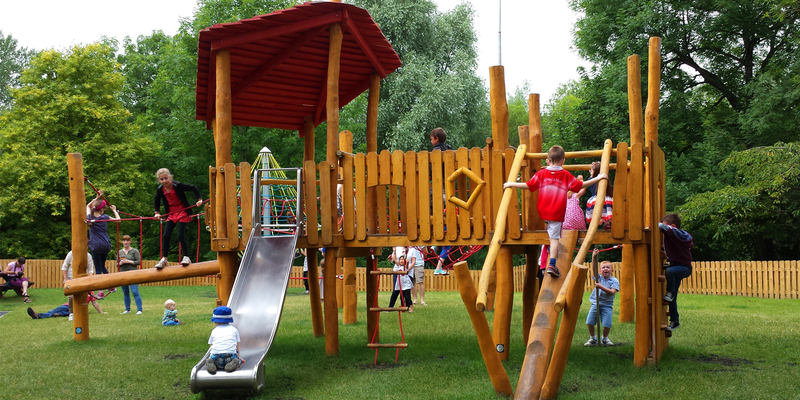 Cpcldesign, Leavesden Country Park, Abbott's Langley. Stepping posts with animal footprints. Beautiful park in the village of lizryan Co Longford. With large tower, ramp & rope entrance and firemans pole. Springer, bridge and swing all of Robinia. 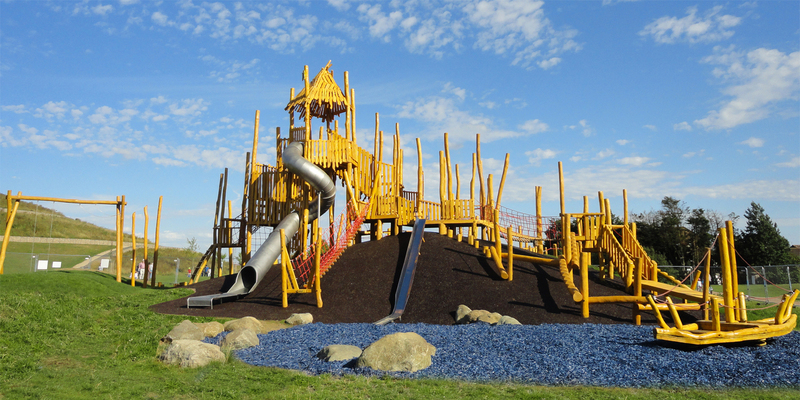 Cpcldesign, premium Robinia, challenging the child. South Dublin County council. Wobbly boat on a sea of sand with its flotsam. Balancing Trail leading to the Birds Nest of Robinia with stainless steel slide. 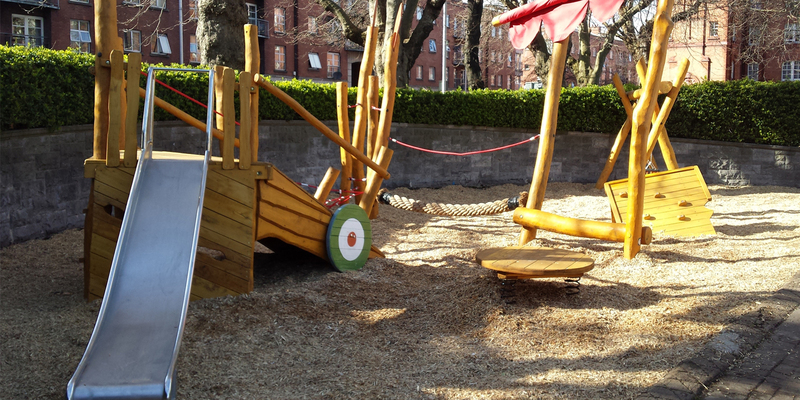 Natural play in the heart of Dublin. Irish National Stud and Japanese Gardens, one of Ireland's biggest tourist attractions, in Kildare. 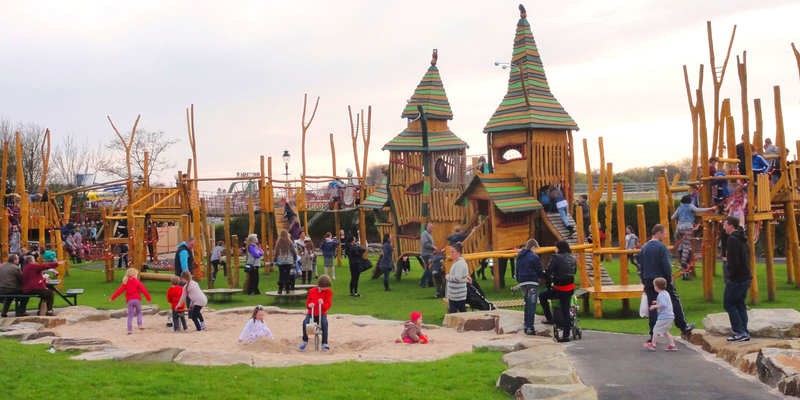 "The playground opened today the feedback has been amazing. Lots of happy little customers. Thank you, Gerry and your team for all your help. It was a pleasure to do business with you." 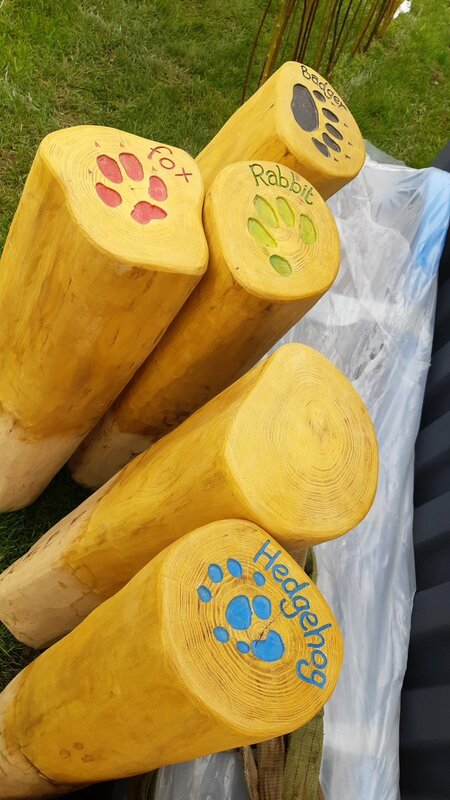 I just wanted to say thanks for everything, the play area looks great and just what we wanted.